Derek Roy's Post-Edmonton Team: Washington Capitals? Derek Roy’s Post-Edmonton Team: The Capitals? The Washington Capitals will take the ice for the 2015-16 NHL season with some new personnel, especially in their forward ranks. The acquisition of T.J. Oshie and Justin Williams bolstered their top two lines. However, there may still be a need for an extra center, especially if Marcus Johannson and Andre Burakovsky share wing duties on the third line – a strong possibility. So, the Capitals would be wise to shore up their troops with an experienced and inexpensive center currently available via the free agency market. Derek Roy fits that bill. Roy tallied a decent 11 goals and 22 points in 46 games with the Edmonton Oilers last season, and he was instrumental in reinvigorating Nail Yakupov. At 32, Roy has a few good years left on the clock – if he can remain healthy, and that’s been an issue of late. He missed a lot of games over the past couple of seasons due to injuries, but the Capitals could offer him a one- or two-year deal worth $500,000 to $700,000 per year. Roy made $1 million last season, but it’s unlikely that he’ll get that amount going forward; the longer a player stays a free agent into August, the less money he can demand – especially a player older than 30. It’s clear that the Oilers no longer require his services, obviously because Connor McDavid is now on the books, but it’s strange that no other NHL team has inked Roy. His slight 5’9’’ and 184lb frame might be giving the GMs heartburn. Roy has played for six different NHL teams in as many years, but the bulk of his time was spent with the Buffalo Sabres from 2005-06 to 2011-12. 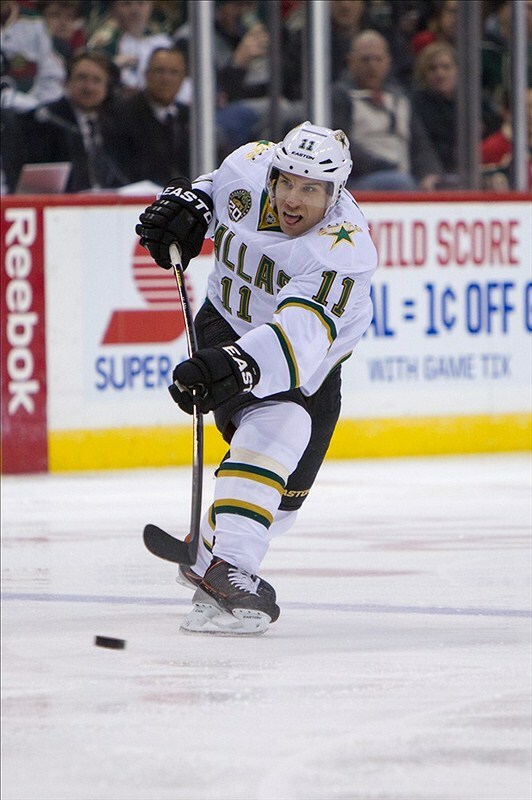 He scored at least 20 goals in four of his seasons in Buffalo. 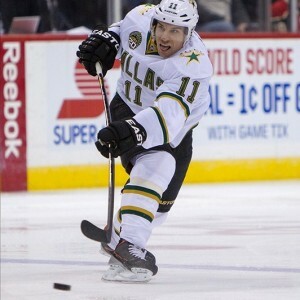 After leaving the Sabres, he played for the Dallas Stars, Vancouver Canucks, St. Louis Blues, Nashville Predators and the Oilers – in that order. Is that journeyman trend worrisome for his next NHL team? Yes, but with 524 points (including 335 assists) from 738 NHL games, Roy is still worth a look from the Capitals. He could significantly add to that impressive career assist haul playing in the middle of Washington’s wingers on the third line, each of whom will be eager to find the net frequently to prove their worth and move up a line. Adding a veteran center like Roy is good business for the Capitals, and at this point, he should take whatever NHL offer he gets or Europe beckons. If Roy is serious about winning a Stanley Cup to round off his career, then he should run (not walk) to Washington if the Caps’ general manager Brian MacLellan knocks on his door.